The long-term Foundation Board member of Childaid Network Wolfgang Kirsch will finish his job after more than 18 years at DZ BANK AG, the umbrella organization of the cooperative credit institutions, at the turn of the year. 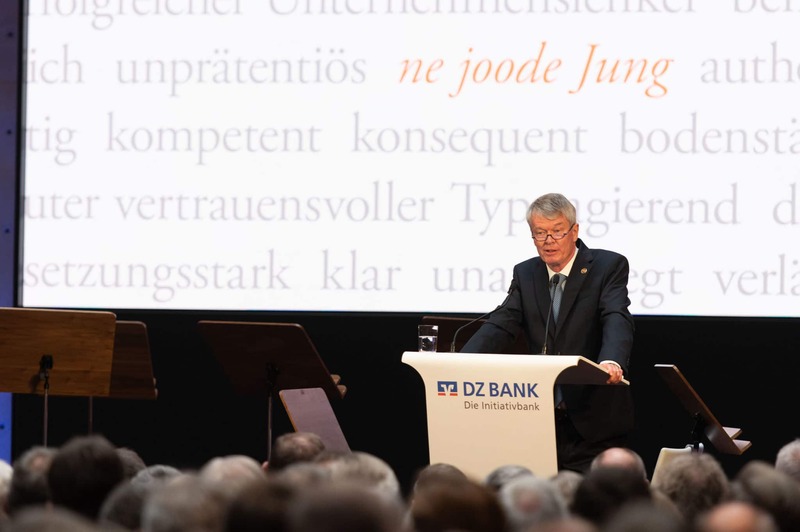 On this occasion, Henning Deneke-Jöhrens, Chairman of the Supervisory Board of DZ BANK AG, invited 350 selected personalities from politics, business, finance and culture to Pariser Platz in Berlin. For Childaid Network, Dr. Martin Kasper has been invited. The event was moderated by the television spokeswoman Gundula Gause, who knows Wolfgang Kirsch from the carnival club Mainz-Gonsenheim. She pointed out that the straightforward and very successful work of the top banker was widely appreciated. President of the Bundestag Wolfgang Schäuble, a friend and longtime companion in the years of the financial and banking crisis, honored Wolfgang Kirsch not only as an exceptionally successful and far-sighted entrepreneur, but above all as an unpretentious, down-to-earth and trustworthy banker of the old kind with moral roots and living ethical principles. He became so to be rightly voted European Banker of the Year 2013. Employees, colleagues and regulators joined this appreciative verdict. Wolfgang Kirsch, who lives with his wife in Königstein for many years, is known not only as a sympathetic and powerful manager, but also as an active member of civil society. He demonstrates his many-sided voluntary work with us as a foundation council since its founding in 2007, because our concept of helping people to help themselves truly convinced him. At DZ BANK, he actively promoted employee engagement for the Snehalaya orphans. Even as a LIONS friend, our board has been associated with him for many years. Taking on social responsibility and advocacy for civil, cultural and social purposes brings together nearly one and a half million Lions worldwide. Wolfgang Kirsch is a LIONS who exemplifies these ideals. 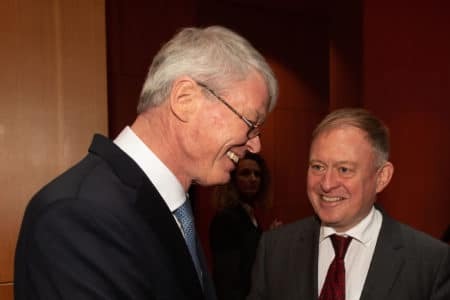 Kirsch, who began his career with a classical banking apprenticeship at Deutsche Bank in 1975, was finally appointed to the Executive Board of DZ Bank in 2002 after having worked in Düsseldorf and Singapore. 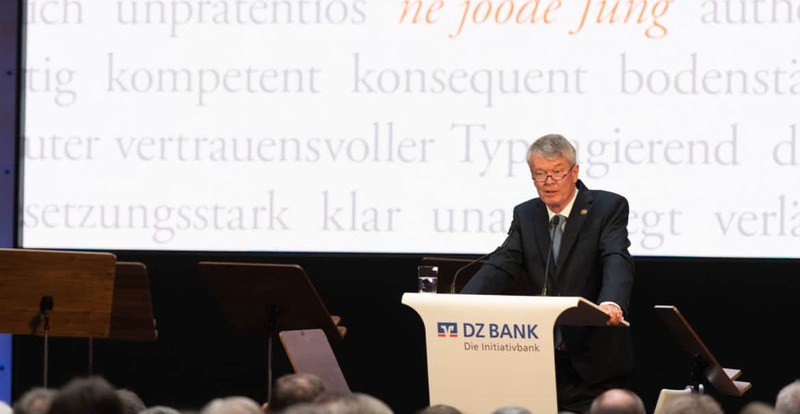 The top banker has successfully guided his institute through turbulent times, kept the bank’s independence in the financial crisis and merged with the WGZ Group – leaving its successors with a well-established banking group, which is now the second largest bank in Germany. 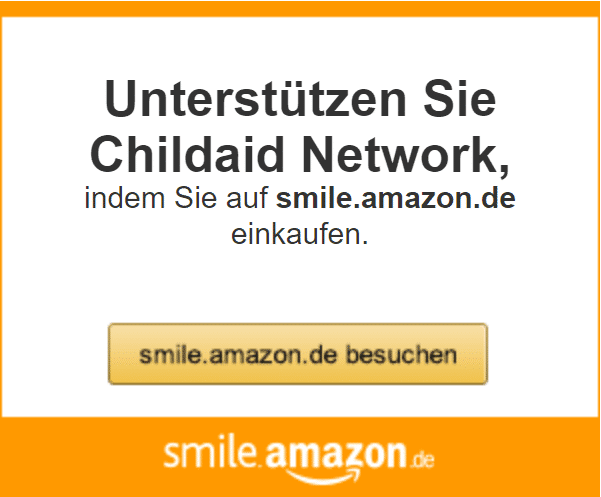 Childaid Network is looking forward to his further involvement in the Foundation, which may now be easier to implement, including a planned project trip.